You listen to your favorite grindcore artists, soaking in the pure speed and aggression, the rebellious, unhinged nature of the music and thank your lucky stars that you've been exposed to such mayhem. Then you listen to Denver's CEPHALIC CARNAGE and your world is turned upside down, wondering, "How do they create such a glorious racket? How could anyone ever do to grindcore what CC has done?" The quintet continually raises the grindcore/death metal bar, expanding the style by incorporating a range of elements, whether it is brutal death, sludgy grooves, free jazz freak outs, or seemingly incongruous bits like clean singing. "Anomalies" was the high water mark for the band; a brain frying combination of elements that never causes the mathematical grindcore/death lunacy to derail. On "Xenosapien", CEPHALIC CARNAGE has retained some of those experimental elements, but reined them in just a bit, yet compared to its peers still corners the market in musically adventurous extreme metal. 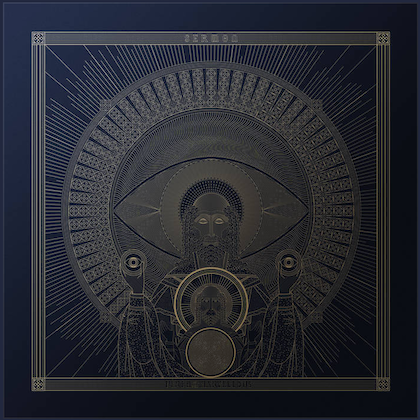 It is almost redundant to say because of the obviousness of it all, but "Xenosapien" will in fact be one of the most technically impressive platters of grind/death that you will hear this year. The players have a way of wowing you with ridiculous time signatures and out-of-this-world riffs and still maintain a measure of, for lack of a better term, accessibility. By that I mean that this is no boring math metal album; every riff, every insane compositional changeup makes an immediate impact, painting a smile on the face of your ever-spinning noggin. 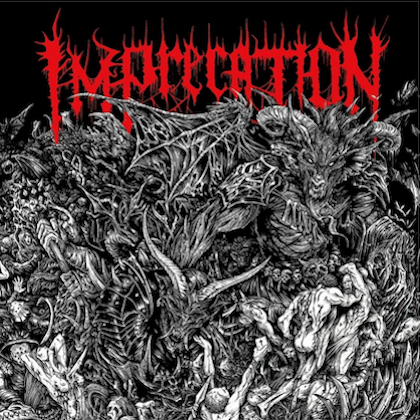 Most of the tunes are full throttle grindcore/death speedsters, "Divination & Volition" but one example, fusing jaw-dropping guitar histrionics with killer groove sections. Just listen to the mind-bending riffs of "Megacosm of the Aquaphobics" and the way it seamlessly switches into a slow crunching section that'll give you goose bumps. 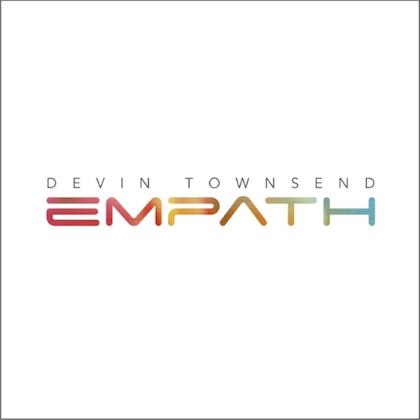 The use of nuance and off-the-beaten-grindcore-path segments are fewer on this album, but no less mesmerizing, whether it be the disturbed spoken word bits on "Heptarchy" and "The Omega Point", the latter including a PRIMUS-esque bass segment, or the brief section of lazy saxophone heard on "G.lobal O.verhaul D.evice". Speaking of "G.O.D. ", it is the album's slow and gloomy track with a mix of vocal styles, including some actual singing that is both beautiful and mildly unsettling. A hidden 12th track plods along in doom-laden, sludgy fashion as well. Special mention must be made of Nick Schendzielos' bass playing on "Xenosapien". His impossibly technical lines are the album's x-factor. Be sure to hone in on his work even when the musical chaos surrounding him is at its apex; you'll be flabbergasted. When the music drops out and all you can hear is Nick, the feeling is one of pure ecstasy. Then again, one could make similar comments about super drummer John Merryman. "Anomalies" and "Xenosapien" are different albums, but the same vibe is present; that of over the top technicality woven into a cohesive whole that stuns, attacks, and beats you bloody, leaving a smile on the face of those crippled by it. 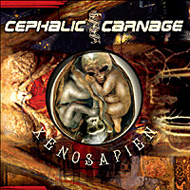 CEPHALIC CARNAGE is simply untouchable and "Xenosapien" is further proof of it.